WARNING : STRIPER FISHING MAY BECOME ADDICTIVE! Want to hear the sound of your drag SCREAMING line off your reel as a STRIPER takes off in a 20 yard run? Want to see the explosion of a STRIPER blowing up on a 12inch Gizzard Shad being pulled on a planer board? Want to experience a lure getting KNOCKED 3 feet into the air? Want to see a huge boil on the surface , watch a rod bend in half and wonder "IS THAT FISH ON MY LINE"? Want to fish till your arms BURN from fighting fish? Want to fish with 10 to 15 rods at a time for STRIPERS anticipating which bait will get hit first? Want to fish with a PROFESSIONAL STRIPER GUIDE who lives to fish and fishes to live, who eats, sleeps, and drinks STRIPER fishing, who can't seem to place any importance on anything not directly related to Striper Fishing? Want to fish with the guide who catches more Stripers on Lake Anna than all other Lake Anna guides combined? Spend a day with us fishing and enjoy a memory of a Lifetime! To see the REEL DEAL, go to my journal and look through the archive for the months you are interested in fishing ! LAKE ANNA STRIPER GUIDE SERVICE is a full time fishing guide service fishing exclusively for Striped Bass exclusively on Lake Anna. 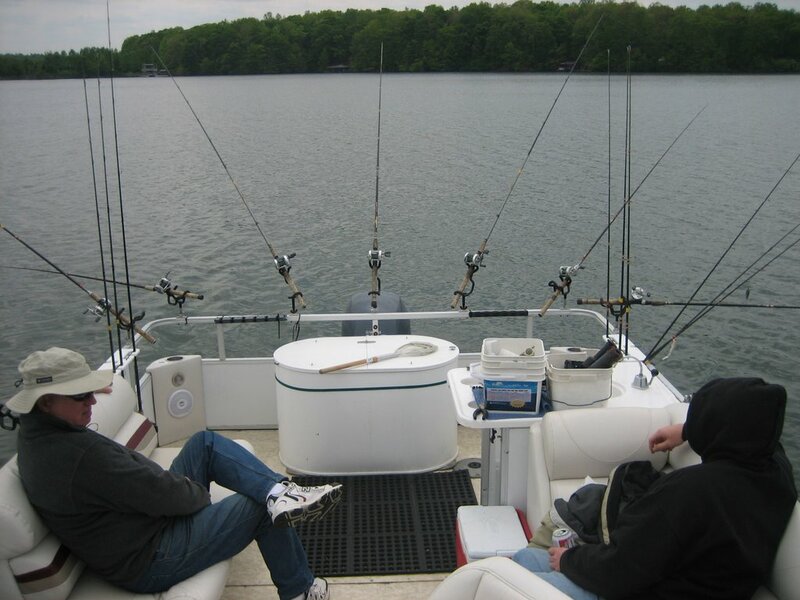 We are the premiere Striper guide service on the lake and have the expertise and experience to ensure you a safe and fulfilling adventure on Lake Anna. We enjoy teaching both young and experienced fisherman how to find and catch STRIPERS. We fish out of HIGH POINT MARINA. Click here for directions. Family, corporate and large groups welcome! Copyright © 2009 Lake Anna Striper Guide Service. All Rights Reserved.